The Vaucher calibers present on the site are examples from a manufacturing structure that has the capabilities to produce virtually every component of a calibre, and provide these products tailored to its customers requirements from 10 examples until many thousands. Vaucher has between 30-40 clients, including some of the most famous houses in the watch industry. During 2017 they produced over fifteen thousand calibers. Their capacity of production is thirty five thousand pieces per year. Each caliber developed at Vaucher manufacture costs up to five million Swiss francs to develop and takes between three to five years depending on complexity. Thickness of 3.95 mm. Power reserve 50h. Number of components 196. Jewels 33. Frequency 4 Hz (28’800 A/h.) Type of balance Variable inertia with gold inertia blocks. Type of balance-spring Flat. Type of oscillating weight 22 carat gold. Oscillating weight winding direction Single direction, in anti-clockwise sense of the weight, viewing from the dial side. Chronometry Variable inertia balance. The ceramic ball race upon which the flying tourbillon turns. 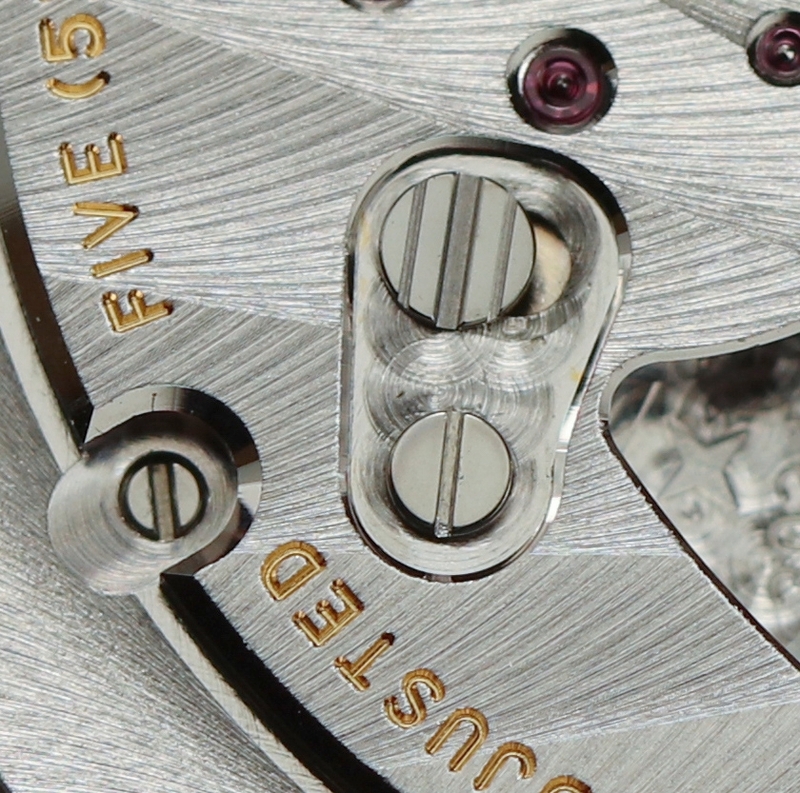 The movement with the rotor weight removed. 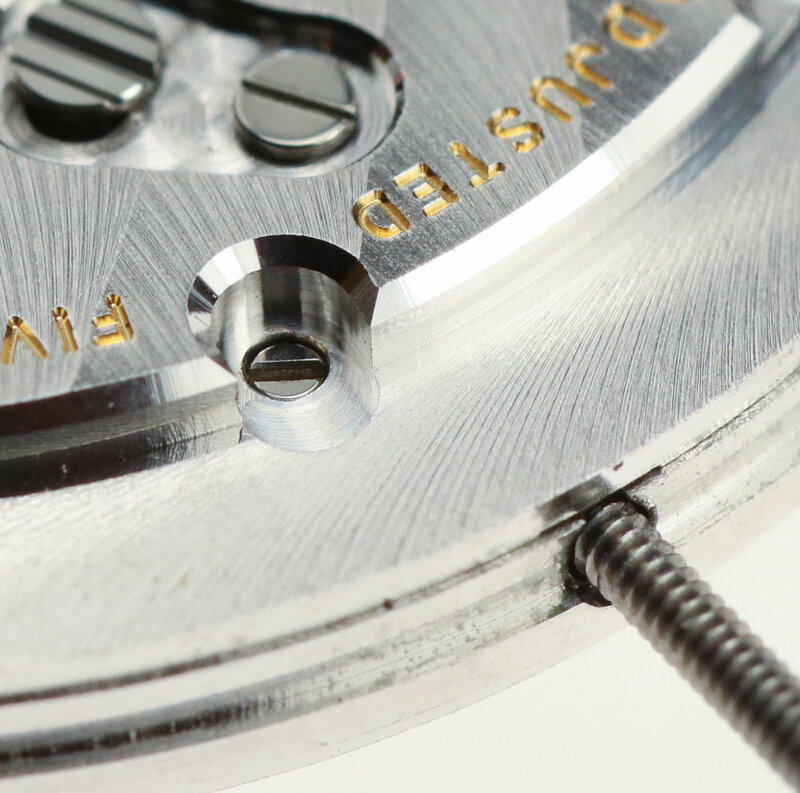 The tourbillon cage sits high above the mainplate so that it will be flush with the dial when added. 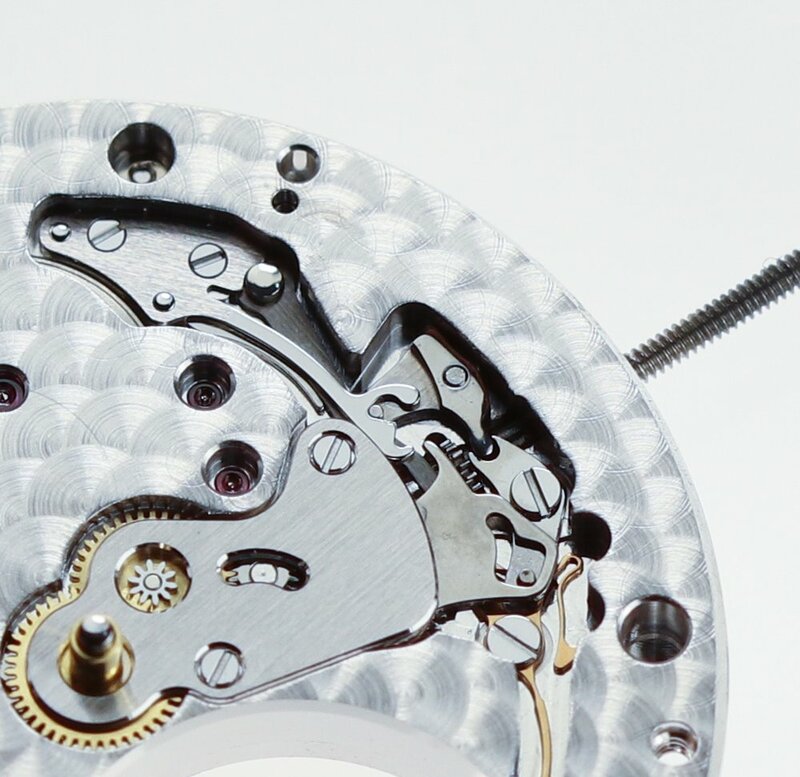 The tourbillon gear train, the small wheel at the centre of the image drives the cage. The barrel bridge which also holds in place the automatic mechanism. The mainplate with all wheels in place missing the bridges. To the left are the cluster of automatic wheels linking to the first barrel. To the right the gear train. 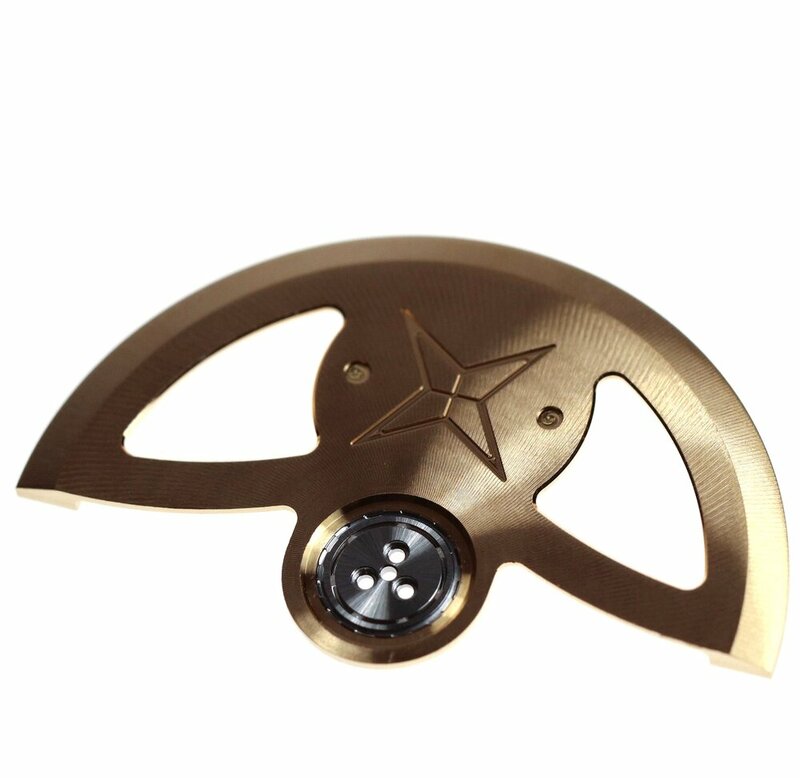 All of the pivots are burnish which both hardens the functional surfaces and improves the quality of the finish. 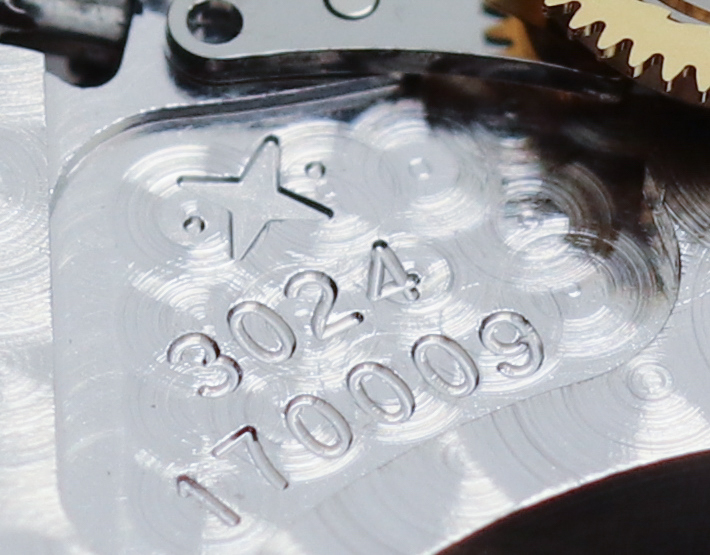 The finishing of the mainplate surface which is hidden under the dial removes all machining marks. The levers to the left are for setting the time. The levers to the right are to stop the cage when the stem is pulled into setting. The central screw holds the setting lever on the other side which inturn secures the stem in place. To remove the stem this screw is loosened. The screw with three slots is removed by unscrewing clockwise. The gold coloured piece is the break (or hack) for the cage. 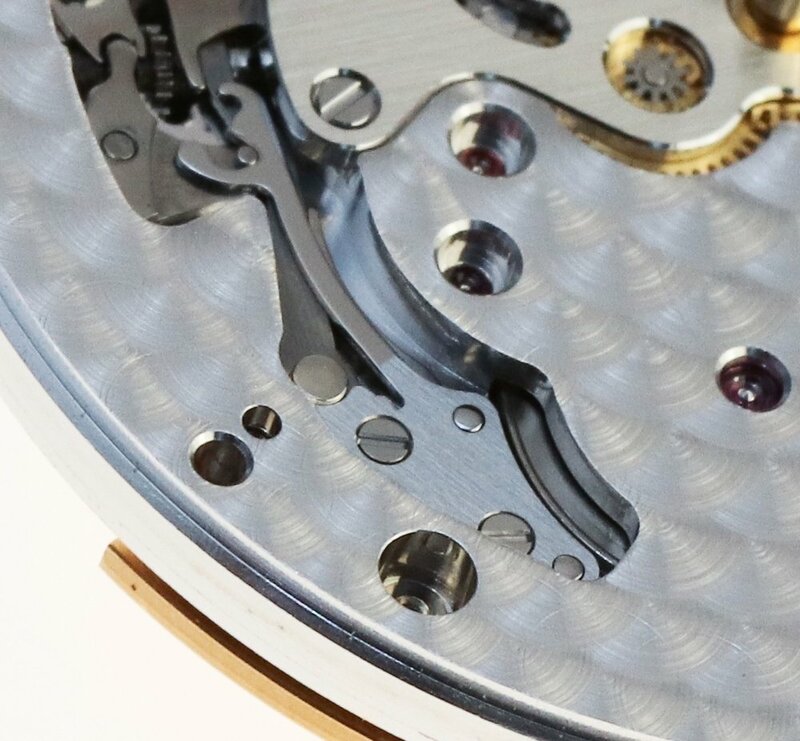 The films shown below are from Vaucher's website and provide extra details into each calibre as well as their system CLA for final quality control of assembled watches.